Negligent driving in Washington State is defined as failing to exercise ordinary care when driving. Examples of negligent driving may include: running a stop sign, performing a lane change without looking or yielding the right of way, or any other type of careless driving that might cause an accident. The term “negligence” related to an accident may refer to the civil determination of fault for an accident, or the criminal charge of negligent driving. Not all those who cause an accident are charged with “negligent driving”, but they can still be deemed to be “negligent” in a civil lawsuit. (a) “Negligent” means the failure to exercise ordinary care, and is the doing of some act that a reasonably careful person would not do under the same or similar circumstances or the failure to do something that a reasonably careful person would do under the same or similar circumstances. (b) It is an affirmative defense to negligent driving in the second degree that must be proved by the defendant by a preponderance of the evidence, that the driver was operating the motor vehicle on private property with the consent of the owner in a manner consistent with the owner’s consent. (2) For the purposes of this section, “negligent” means the failure to exercise ordinary care, and is the doing of some act that a reasonably careful person would not do under the same or similar circumstances or the failure to do something that a reasonably careful person would do under the same or similar circumstances. (2) The law enforcement officer or prosecuting authority issuing the notice of infraction for an offense under this section shall state on the notice of infraction that the offense was a proximate cause of death, great bodily harm, or substantial bodily harm, as defined in RCW9A.04.110, of a vulnerable user of a public way. (ii) The person’s driving privileges shall be suspended for ninety days. (9) If a person is penalized under subsection (4) of this section, then the court shall notify the department, and the department shall suspend the person’s driving privileges. If a person fails to meet the requirements of subsection (5) of this section, the court shall notify the department that the person has failed to meet the requirements of subsection (5) of this section and the department shall suspend the person’s driving privileges. Notice provided by the court under this subsection must be in a form specified by the department. (a) “Great bodily harm” and “substantial bodily harm” have the same meaning as provided in RCW 9A.04.110. (b) “Negligent” has the same meaning as provided in RCW 46.61.525(2). 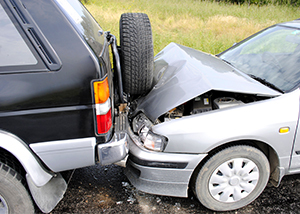 Being injured by a negligent driver often times leads to many various complications. Contact the experienced and aggressive personal injury attorneys at Parke Gordon Law Firm in Spokane to handle your auto accident case. Our lawyers and staff believe every client deserves fair representation. We will aggressively fight for every penny you are owed. Call our Spokane law office today for a free consultation at (509) 482-7274.